Lamborghini Huracan, Ferrari 488 GTB, and McLaren 720S, all of them are no doubt among the best supercars. Each of them has its own unique power, ferocity, and beauty, and of course, making a choice among these there is not easy. And so, let’s take these beasts out into an “arena” to see which one is the best of three: Lamborghini Huracan vs Ferrari 488 GTB vs McLaren 720S. The Lamborghini are really good at putting name for their exotic creation, and Lamborghini Huracan is no exception. 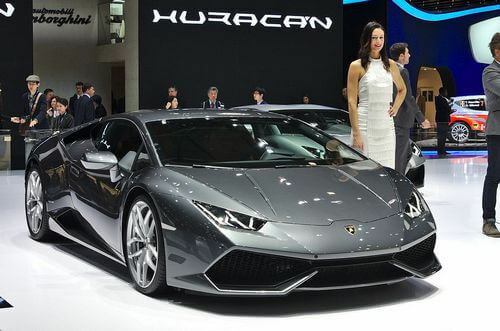 The name “Huracan” means “hurricane”, which is a pretty impressive and suiting name for a sports car. So how ferocious Lamborghini Huracan is? Performance: Imagine if we are at the center of the hurricane, it will probably feel extremely rough and terrifying. But surprisingly, driving Lamborghini Huracan feels really comfortable and well-mannered. Meanwhile, the wonderful V10 provides the powerful sense of raging hurricane with 602 horse power. On the other hand, the handling isn’t spectacular, it’s decent and it gives the feeling of easy grip. Interior: The interior design resembles jet-fighter which feels alluring and theatrical. Unlike traditional cockpit design, Huracan doesn’t have central display. Instead, every statistics and functions are shown on the screen behind the wheel. The gearlever is not implemented neither, instead it has the Anima button which allow switching through various options. The driving seat is nicely set up, including narrow, yet emotional view. 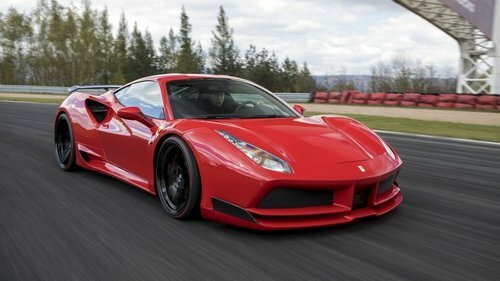 Back to the day when Ferrari 458 first came out, it was like a huge blast with tremendous success. And as usual, it’s always a big question for a company to make an even better successor than its predecessors. Ferrari 488 GTB also shares the same story, but the great thing is: Ferrari 488 GTB has nailed it! Interior: Ferrari 488 GTB follows the similar interior design as the 458, but with a more modern touch which emphasizes the greatness of Ferrari’s design. In overall, it provides a great sense of modernity and exotic. Back to 2016, McLaren announced that they will invest in the new 15 creations which replace the old McLaren line up. This statement should not be addressed lightly. And this time, they’ve started with the new McLaren 720S which expected to be the great successor of McLaren 650. So, how powerful is this new successor? Performance: Lighter and faster, this concept is probably what drives McLaren 720S to succeed. In term of speed, McLaren 720S’s twin-turbo 4.0-liter V-8 can achieve 710 horse power, which is stronger than its rival Ferrari 480 GTB. 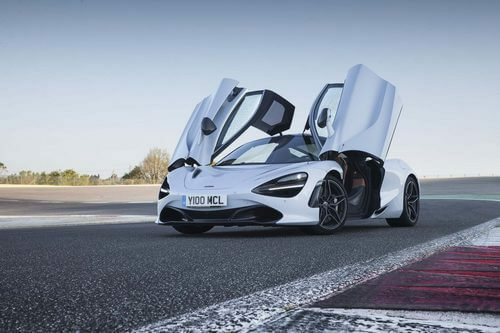 In term of weight, McLaren 720S uses newest carbonfibre chassis – Monocage II which makes McLaren 720S 40 pounds lighter than its 650 predecessor. Ultimately this makes McLaren 720S’s aerodynamic efficiency 2 times better than McLaren 650. Perhaps one of the greatest differences between McLaren 650 and its successor 720S is the control manner. With McLaren 650, the control manner felt strictly following its way, while McLaren 720S gives driver more control and sense of freedom. Interior: In overall, McLaren 720S’s interior design is a nice combination between race car’s efficiency and luxurious technical design. McLaren 720S’s new display system is better than the old IRIS system. Yet, it still feels less not as intuitive as it could be. Perhaps the biggest change here was the fold-out display, however this system is arguably the downside of McLaren 720S for some people. So now that we’ve taken a brief look at the three contenders. Let’s get on to our main topic which is comparing these three. The comparison will base on: speed engine, performance, handling, and noise. This one is pretty obvious. Out of the three supercars, McLaren 720S’s twin-turbo 4.0-liter V-8 claims the victory with its 710 horse power. The 661 horse-power Ferrari 488 GTB ranks second, and the third rank belongs to Lamborghini Huracan. In term of acceleration, Lamborghini Huracan and Ferrari 488 GTB seem to be rivals in equal term: Both have standing mile duration of 10.6 sec. For Lamborghini Huracan, it takes 2.8 sec from zero to 60 mph, and 5.9 sec from zero to 100 mph. While it takes Ferrari 488 GTB 3.0 sec from zero to 60 mph, and 6.4 sec zero to 100 mph. On the other hand, Ferrari 488 GTB has top speed of 205 mph which is slightly higher than Lamborghini Huracan with 201 mph. It’s quite a hard thing to compare the sound system between the three. But in this case, many people believe McLaren 720S’s sound is still lackluster compared to Ferrari 480 GTB’s vocal sound and Lamborghini Huracan’s natural aspiration. Based on what we have above, McLaren 720S seems to have the best performance out of the three supercars. McLaren 720S is like an aimed design to defeat Ferrari 488 GTB and no doubt it did really good job at that. On the other hand, Lamborghini Huracan seems to be lackluster compared to the other two. Yet, Lamborghini Huracan provides a comfortable and pleasant ride. On the other hand, it’s impossible to compare these three in terms of and aesthetic since it depends on personal taste. That said, Lamborghini Huracan Performante is coming up next and we will see whether this next hurricane can wash away the two current champions. 2018 Lamborghini Huracan Performante Review: Unleashing The Storm! Warping To The Future – Lamborghini Terzo Millennio! Pingback: Top 10 Rarest Supercars You Probably Will Never See, Ever! Pingback: The World’s Finest Pininfarinas: Top 10 Pininfarina Designs!